Damage taken was not properly tracked (as in not tracked at all) when playing as Swamp or Marsh. This is fixed now! Sadly all the damage you've taken as them in the past is gone forever. Similarly, damage taken in general was off by one for all characters. This is because no stats are tracked after you die aside from "Deaths", so the last damage you took just wasn't counted since the stat was counted after you died. That bug has been in place since the game launched, so that's neat. Fixed now, finally! 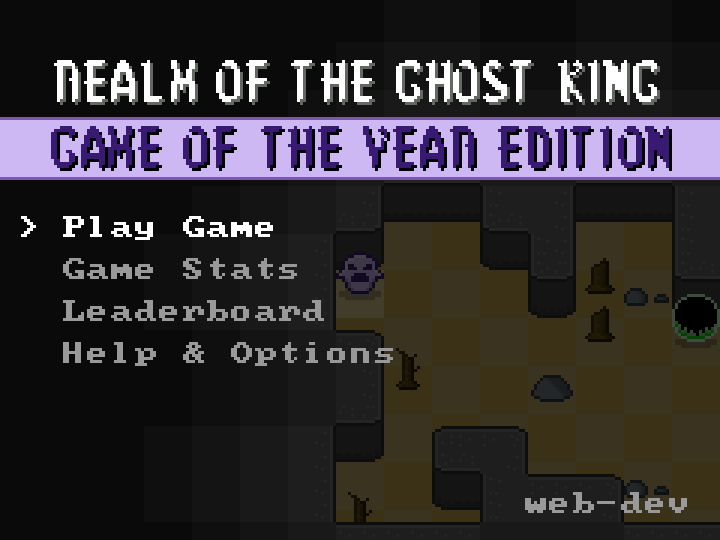 Also next week is Realm of the Ghost King's first birthday. There won't be a major update or anything but, hot tip, the game will be on sale! Steam Version: It's now actually possible to get the Tourist achievement! Sorry about that! 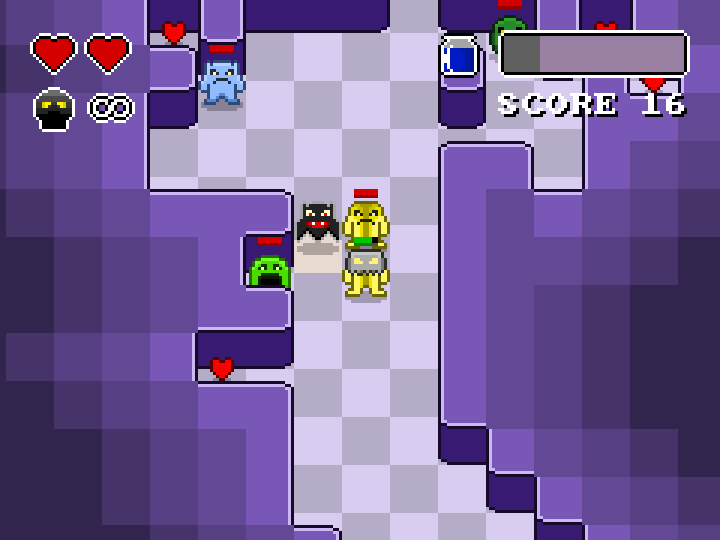 All Versions: Enemy GhOsTY now shows up reliably when you're playing as not GhOsTY. Purely cosmetic of course but it's nice to see her in that shade of purple! Also known as 1.2.0, since winning a prestigious GOTY award I've put together a Game Of The Year Edition, as is tradition in gaming. 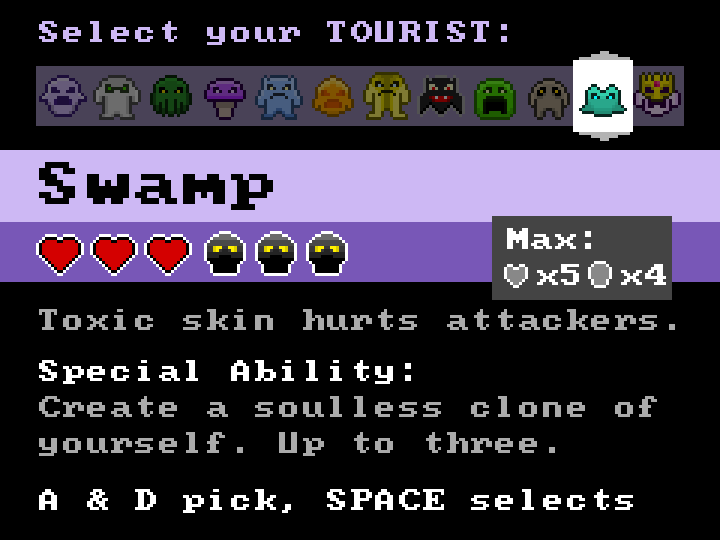 1.2.0 adds two new gameplay modes: Tourism and Endless. Tourism allows you to just play through the game without any enemies and Endless is played on a single map where you try for a high score. Both modes were fun to add and are hopefully enjoyable to play as well! The game should update on Steam and itch (via the itch app) when you start the launchers. The game will also run in "Game Of The Year" mode for the month of January, which is entirely cosmetic, displaying a fancy GOTY logo on the title screen (pictured above). 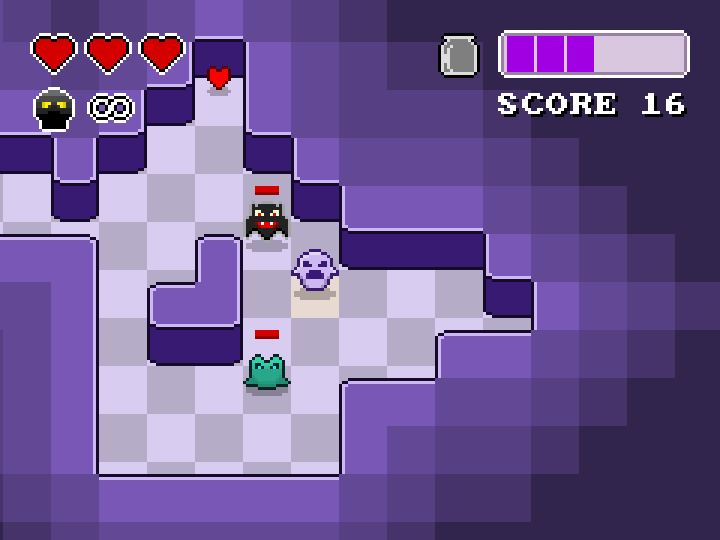 You can also play as GhOsTY, who is exactly Ghost except purple (the official GOTY color). 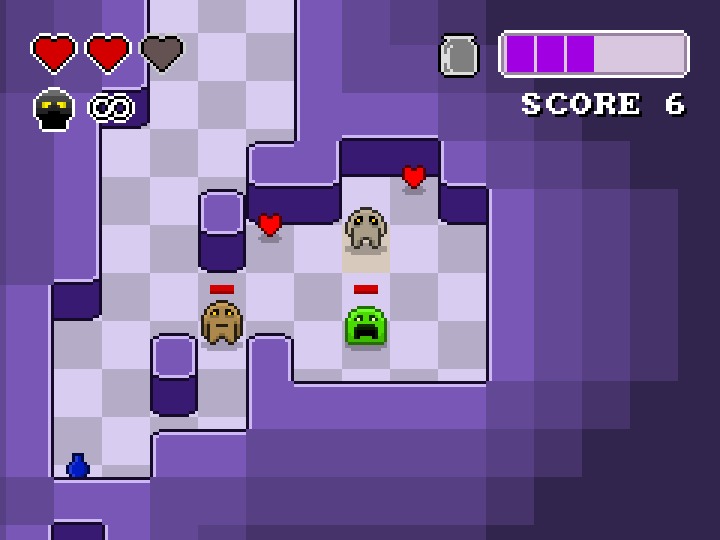 If you play the Steam version you can unlock an achievement by beating the game with GhOsTY! I hope you enjoy and have a happy New Year! Nothing to unlock, just play! The Special Ability mutator was always unlocked when it should have required you to cast 40+ special attacks to unlock. Now it does that. There are probably other bugs but they haven't been fixed! Unknown Pleasures is a column on Rock Paper Shotgun which showcases lesser known games that you probably haven't heard of but are still worth playing. Naturally Realm of the Ghost King fits the bill there, and indeed was covered back in January. Fast forward to today, when the Best-Of Lists are making their appearances, and this includes The Best Unknown Pleasures. Somehow, ROTGK made the cut! So here we are. Against all odds this little game is officially a Game Of The Year! Sure it's for a very specific list, but I'm proud all the same! Also if you somehow are visiting this site and reading this blog but don't own the game, it's currently on sale for 40% off. 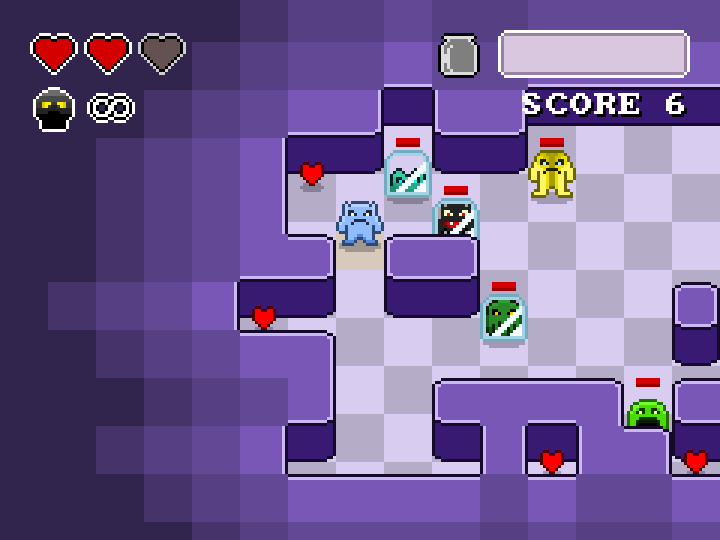 Grab it on Steam or on itch.io and give the gift of ghosts and roguelikes. Have a great holiday season!